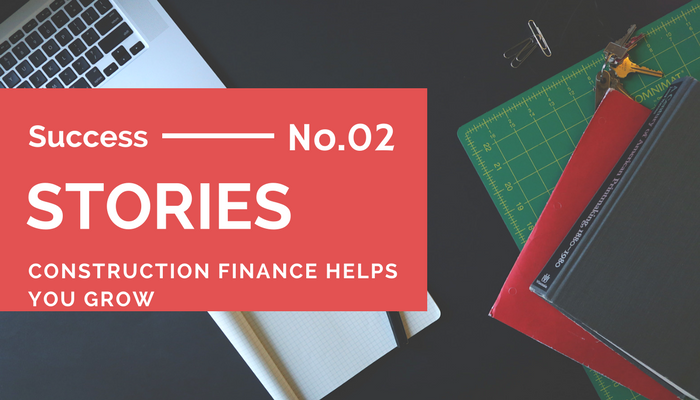 Our second in a series of success stories from Construction Finance goes to a GC here in our home state of Arkansas! We love doing business in Arkansas and our surrounding states! Helping our community flourish! 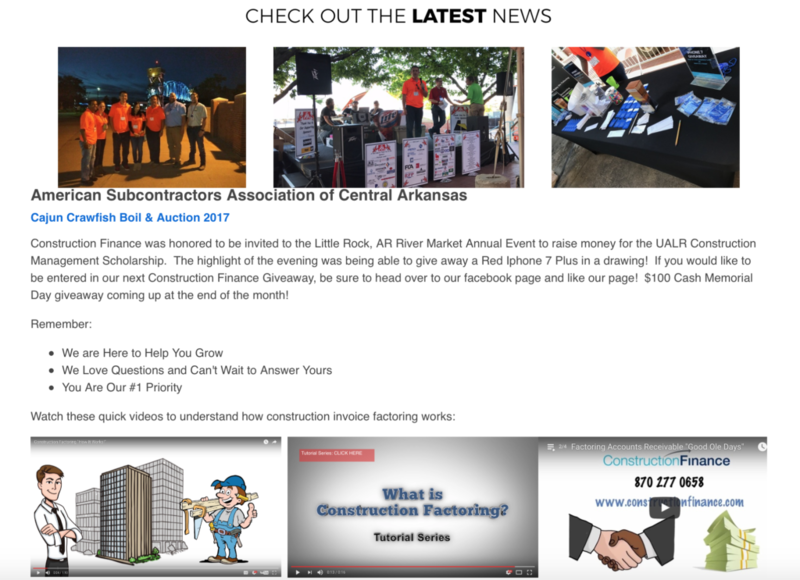 Arkansas General Contractor receives 525k funding facility. Construction Finance provided funding to allow this GC to continue to grow with 2 different fortune 500 companies that pay in 45 day terms. The contractor is now able to take on larger projects with these customers. When sharing your work across various social media channels, blogs, emails and trade groups it is easy to get lost in the white noise. Sharing a visual image is nowadays an absolute must when it comes to advertising. (If you’re not advertising aka sharing on the internet……it’s time to get started!) Just writing a blog post, writing a social media post, tweet or website article is no longer enough. You must share authentic data and ‘storytelling’ about what you do, how you do it and why it is important to your audience. The visual content marketing infographic above can help you understand it’s importance. 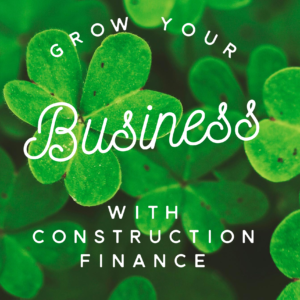 If you would like to discuss how Construction Finance can help your business grow, please contact us with any questions you may have. Construction Finance has many ‘success stories’ to share. Here is the first of many situations that we have been honored to finance! Construction Finance approves a 400k funding facility to MO Plumbing contractor. With Invoice factoring, this Plumbing company was able to pay off a working capital advance that had pesky daily payments. With Construction Finance as a partner, he has more than doubled his revenue in less than 1 year. 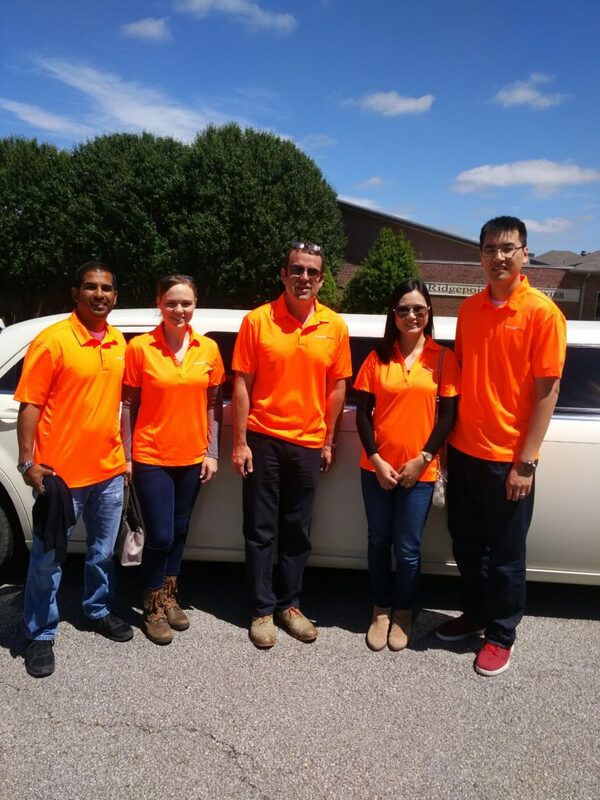 Construction Finance traveled to the American Subcontractors Association of Central Arkansas Cajun Crawfish Boil & Auction in style. 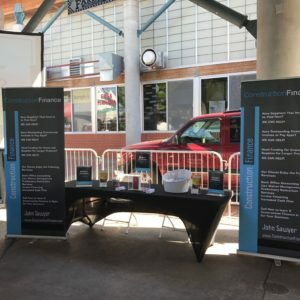 Employees and clients rode in a limo to the Little Rock, Arkansas River Market event in April 2017. We are so happy to announce that Sophie Diane is the newest member of Team Sawyer. 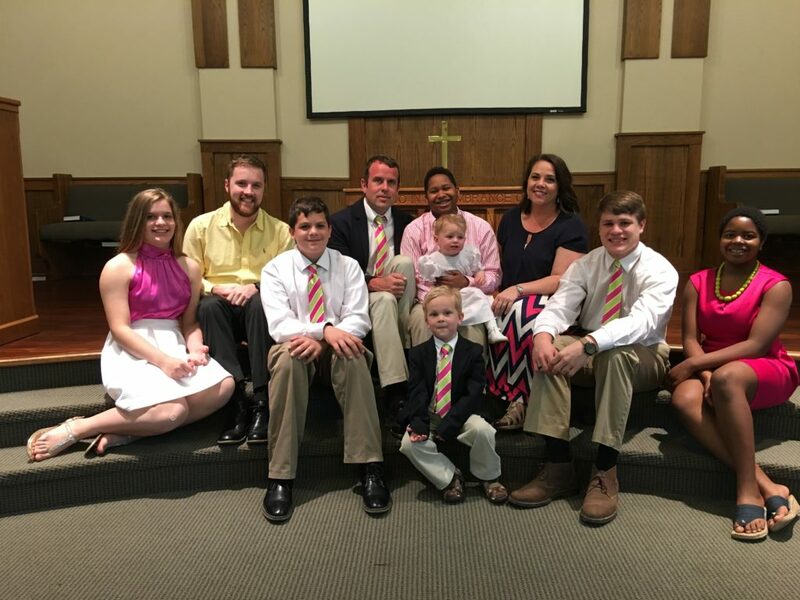 John and Dia Sawyer finalized the adoption of their 8th child this month. Congratulations to all of Team Sawyer!! Remember the good ole days of being able to walk up to a contractor’s tailgate and get paid immediately for work that had just been completed. Unfortunately, those days are long gone. Many subcontractors are waiting 30, 60 and even 90 days to be paid for work already completed. Construction Finance can buy that invoice from you and pay you NOW while we wait to be paid! Watch this video and learn more about financial decisions and how to manage your money as well as how the financial market works. GET PAID NOW WHILE WE WAIT FOR YOUR CUSTOMER TO PAY. 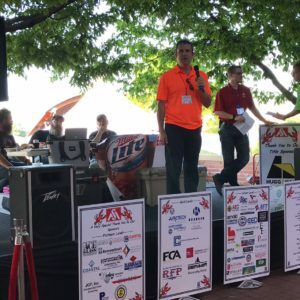 Construction Finance was honored to be in invited to participate in the American Subcontractors Association of Central Arkansas Cajun Crawfish Boil & Auction. Below, John Sawyer, is announcing the Construction Finance Iphone 7 Plus Giveaway!!! 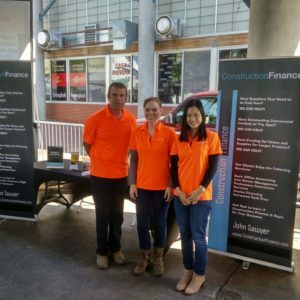 John Sawyer, Rachael Diaz and Iris Feng representing Construction Finance. 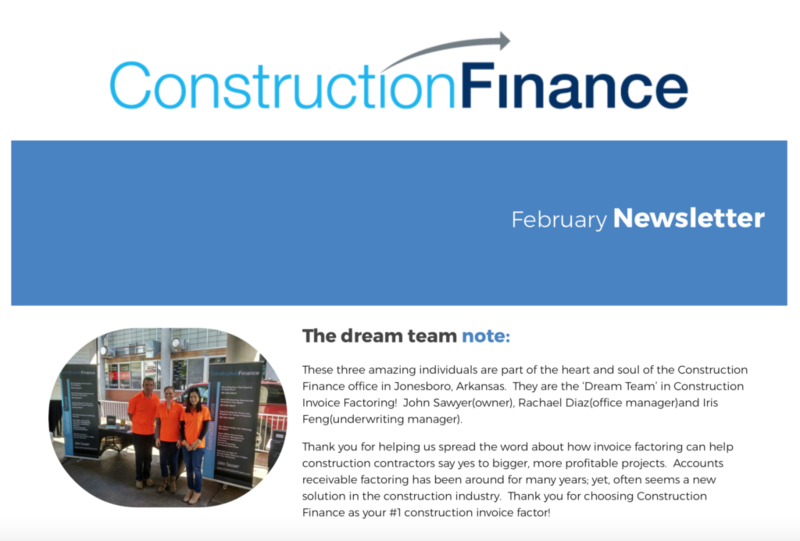 These three amazing individuals are the heart and soul of the Construction Finance office in Jonesboro, Arkansas. They are the ‘Dream Team’ in Construction Invoice Factoring! Lots of goodies at the Construction Finance booth were given away to the 1,000 plus contractors in attendance. The American Subcontractors Association Cajun Crawfish Boil was sponsored by Hugg & Hall, Construction Finance, Riggs and Crain Automotive Team and many others. A $500 Cash Grand Prize was given away as well! Below John Sawyer announces the Construction Finance 2017 Iphone Plus Giveaway Drawing!!! 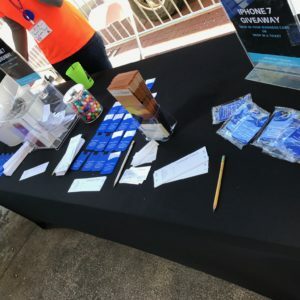 Amber Mayfield of Little Rock, Arkansas was the winner of the Red Iphone 7 Plus Drawing! Congratulations Amber!!! Thank you all for helping us spread the word about how invoice factoring can help construction contractors accept bigger and more numerous projects. Accounts receivable factoring has been around for many, many years yet is a new concept in the construction industry. Thank you all for choosing Construction Finance as your #1 construction invoice factor! 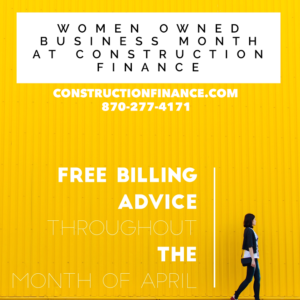 Call John Sawyer 870-277-4171 or john@constructionfinance.com with your billing questions. According to the National Committee on Pay Equity, Equal Pay Day is April 5th, 2017 or the second Tuesday in April each year. Employees are encouraged to wear red to work to raise awareness of how far ‘in the red’ women and minorities are in term of equal pay. On previous Equal Pay Days, grassroots organizing on fair pay swept local communities. Women’s business and professional associations, labor groups, civil rights organizations and others committed to equal pay coordinated activities to raise awareness about how to solve wage inequity. Is everything around you growing and blooming? Do you want your business to flourish as well? 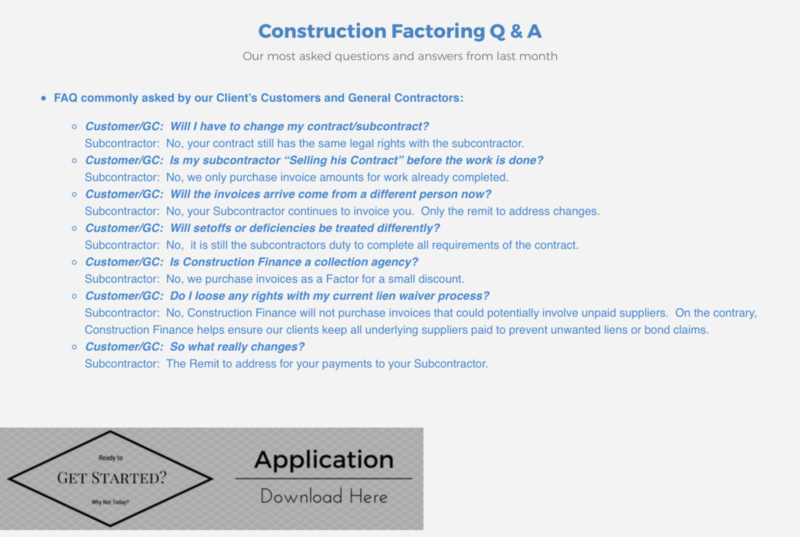 Construction invoice factoring doesn’t have to be a daunting task. It’s actually quite simple. To make it even easier we’ve put together a 3 step process to get you started. We will do the leg work behind the scenes and give you a call as soon as possible. Do you have unpaid commercial invoices? Would you like to pay your subs and suppliers today? Did you answer yes to the questions above? If so, you are ready to follow the 3 simple steps below! Send us a copy of the invoice/ payment application. List of suppliers that you want to pay. Your company name, email and phone number. Submit the information listed above to john@constructionfinance.com and we will give you a call asap! See, that wasn’t so hard was it? We look forward to partnering with you as you grow your business this spring. Thank you for choosing us to share the experience with you. We look forward to receiving your information today.